In the sport of bobsled, Hunter Church is one of the United States’ brightest rising stars. In January, the 21-year-old from Cadyville, New York, steered the four-man sled that qualified Team USA for a third slot in the 2018 Olympic Games. Had it not been for Church’s near flawless 54.66-second run, Team USA would only have two sleds competing in Pyeongchang. To achieve that greatness, Church has relentlessly trained since he was 12 on the bobsled track in the Lake Placid Olympic Training Complex – the same one used in the 1980 Olympic Winter Games. In the nearly four decades since, New York taxpayers have provided the funds to keep that track and other former Olympic venues open for aspiring Olympians. “If we didn’t have the funding to do this, I’m not sure where I would be right now,” Church said. 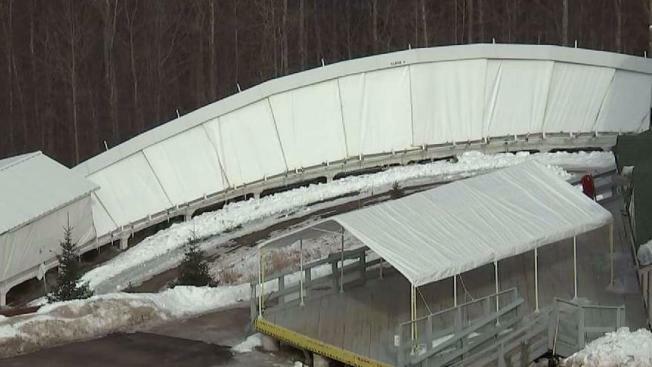 It's been nearly 40 years since the Lake Placid Olympic Winter Games, and New Yorkers are still paying to keep the venue up and running. Chris Glorioso reports on why the complex is still open, and what it means to athletes hoping to make future Olympic games. If you ask Jon Lundin, spokesman for ORDA, those state subsidies aren’t just paying for a bobsled track, or an ice arena, or a speed skating oval. He said those state funds are investments in Olympic gold. 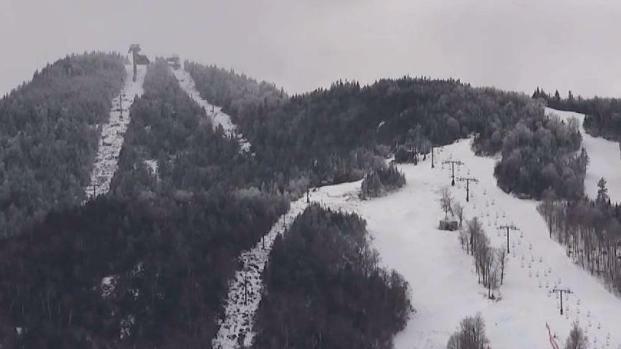 “If you want to become a Winter Olympian, at some point during a stage of your development you’re going to wind up here in Lake Placid,” Lundin said. The bobsled/luge/skeleton track in Lake Placid is one of just two Olympic-sized bobsled/luge/skeleton tracks in the entire country. The other one is in Park City, Utah -- itself the site of the 2002 Olympic Winter Games. There are only four such tracks in all of North America. “The fact that we have one so close to home, it’s a real blessing,” Church said. Despite winning that Olympic qualifying round and securing a third USA bobsled to compete the 2018 Winter Games, Hunter Church was not chosen to represent Team USA in South Korea. It was disappointing to him, but he is young and determined to train even harder for the 2022 Games. If you swing by the bobsled track in Lake Placid over the next four years, you may well Church practicing.